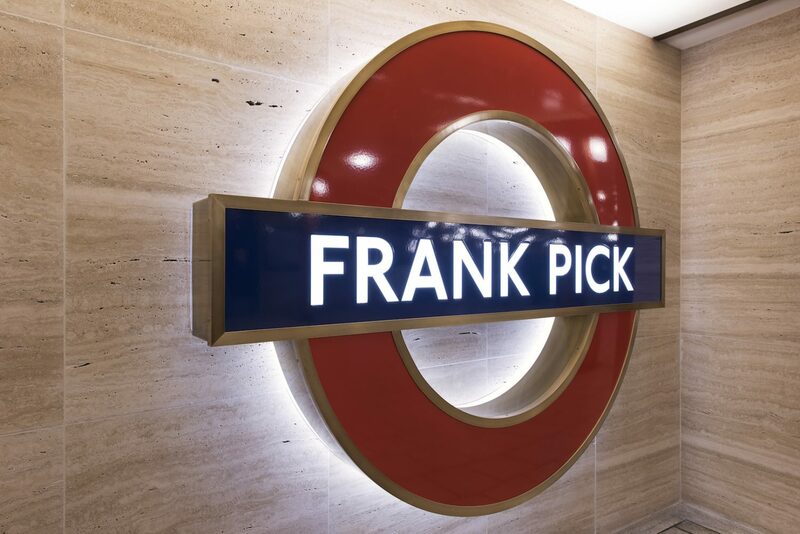 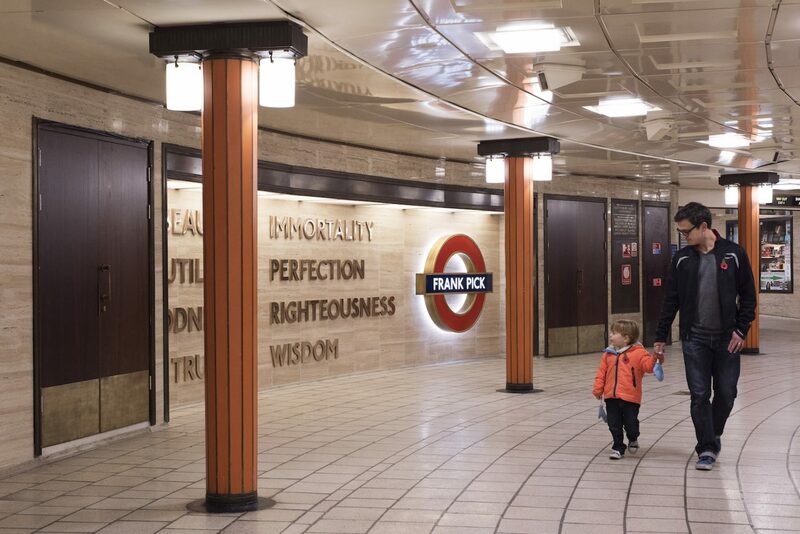 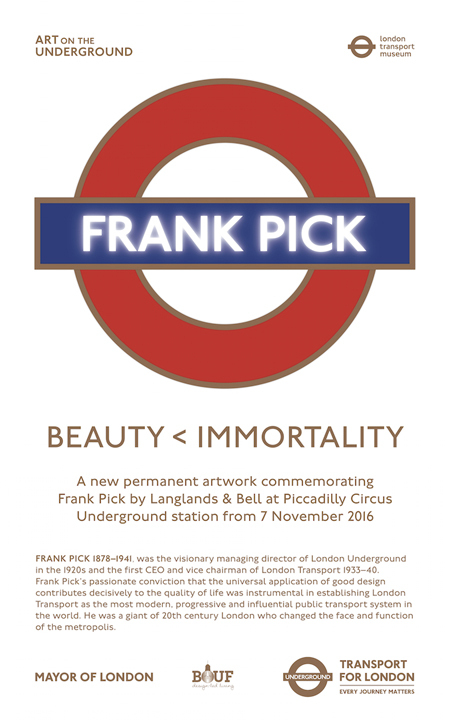 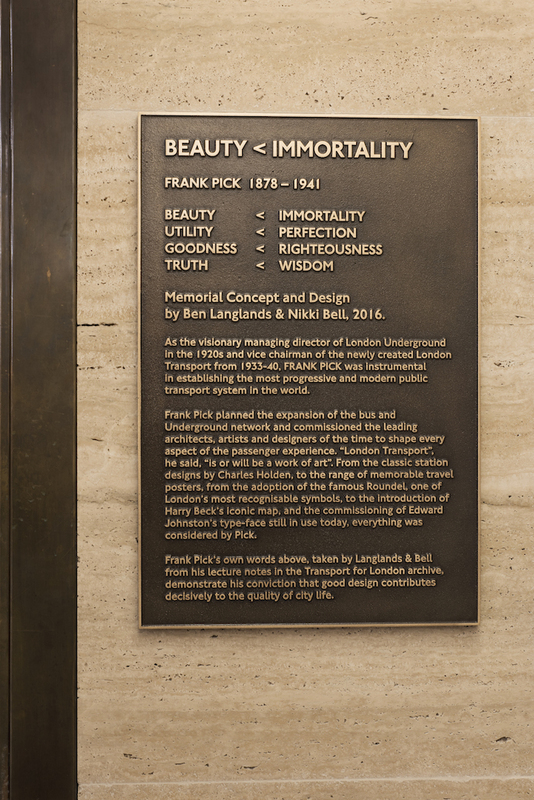 Permanent memorial to Frank Pick at Piccadilly Circus Underground station, London. 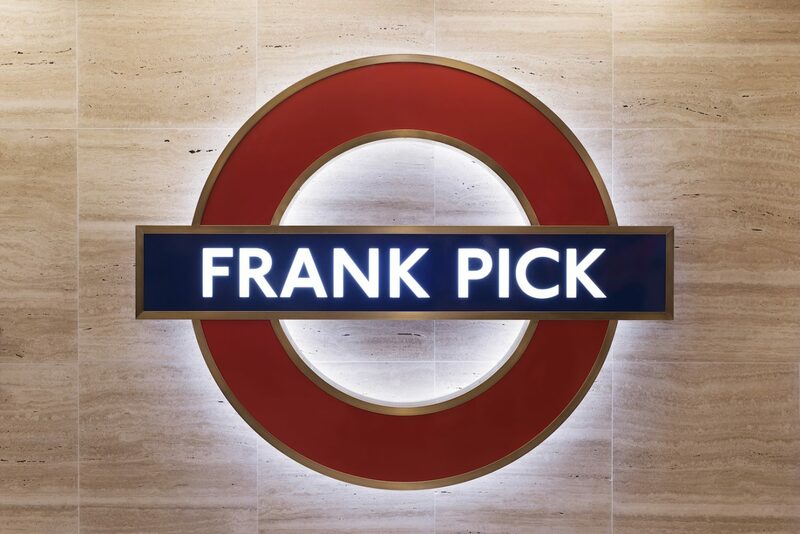 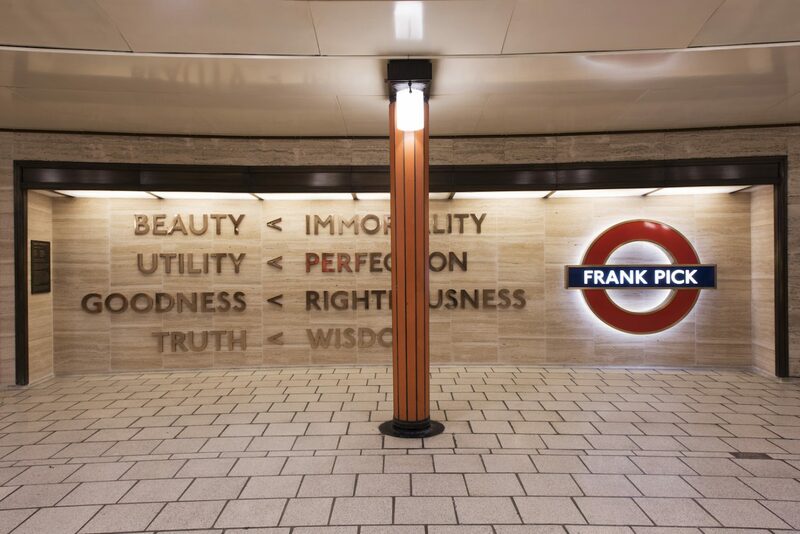 Frank Pick was the visionary first managing director and CEO of London Transport who’s legacy of iconic designs, has had a profound influence on the appearance of London and urban transport in many other cities around the world. 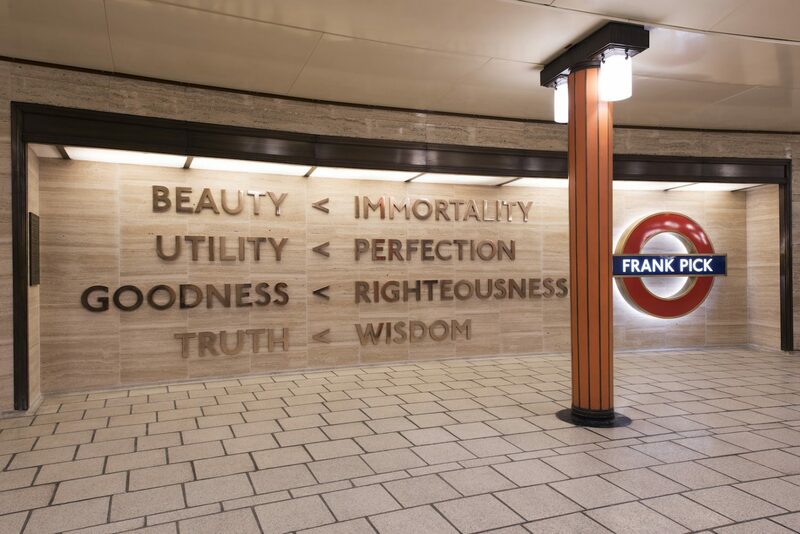 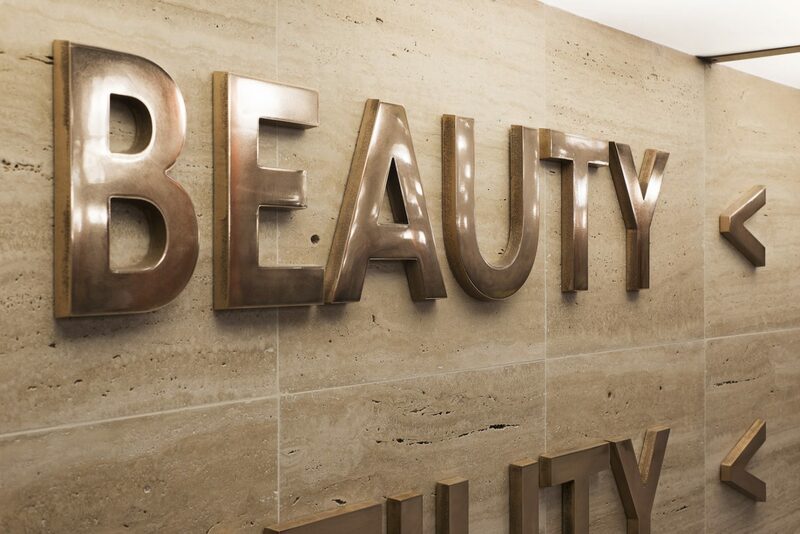 Commissioned by London Transport Museum and Art on the Underground for Transport for London.